2. Limited availability of flights at sale prices. 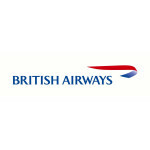 All promotional fares quoted are from the departure airports stated in the booking and are based on the lowest available Club World (Business Class), Club Europe and First Class return price available on ba.com at this time. When viewing fares from departure point ‘London (All)’, the lowest available fare for any one of all the included London Airports will be shown. 3. Advertised sale prices discounted from lowest price for the relevant route available in the 20 days before 22 June 2017. 5. All flights on sale are valid from London Heathrow, London Gatwick, Edinburgh, Glasgow and Jersey Airports. 6. Flights to all destinations must be booked between 12:00 BST 22 June 2017 and 23:59 BST 11 July 2017 to take advantage of this promotion. a. Travel in Club Europe from London Heathrow to Aberdeen, Amsterdam, Athens, Bologna, Basel, Budapest, Dublin, Edinburgh, Glasgow, Gothenburg, Geneva, Inverness, Istanbul, Reykjavik, Larnaca, Lyon, Marseille, Munich, Nice, Oslo, Palma Mallorca, Pisa, Sofia, Toulouse, Berlin, Venice, Vienna and Warsaw is available for selected travel dates between 2 October 2017 to 10 December 2017.
b. Travel in Club World from London Heathrow to Buenos Aires, Santiago, Nassau and Grand Cayman is available for selected travel dates between 1 August 2017 and 30 June 2018.
c.Travel in Business Class Plus/Club from London Heathrow operated by Iberia via Madrid to Havana is available for selected travel dates between 22 July 2017 to 15 March 2018.
d. Travel in Club World and First from London Gatwick to Barbados, Antigua, St Kitts, Tobago, Grenada, St Lucia, Port of Spain, Providenciales, Punta Cana, Cancun, Kingston, Lima, San Jose (Cost Rica), Orlando, Tampa, Cape Town, Bermuda, Fort Lauderdale, Oakland, Mauritius and New York is available for selected outbound travel dates between 7 July 2017 and 20 June 2018.
e. Travel in Club Europe from London Gatwick Airport to Lanzarote, Malaga, Alicante, Algiers, Amsterdam, Barcelona, Bordeaux, Dubrovnik, Edinburgh, Faro, Funchal, Fuerteventura, Glasgow, Grenoble, Genoa, Geneva, Innsbruck, Jersey, Malta, Naples, Nice, Oporto, Marrakech, Rome, Seville, Salzburg, Tenerife, Tirana, Turin, Venice, Vienna, Valencia and Verona is available for selected outbound travel dates between 7 November 2018 and 19 March 2018.
f. Travel in Club Europe from Edinburgh to London Gatwick is available for selected outbound travel dates between 7 November 2017 to 19 March 2018.
g. Travel in Club Europe from Glasgow to London Gatwick is available for selected outbound travel dates between 7 November 2017 to 19 March 2018.
h. Travel in Club Europe from Jersey to London Gatwick is available for selected outbound travel dates between 7 November 2017 to 19 March 2018. 8. Please note tickets must be booked within 355 days before outward travel. d. The following routes from London Heathrow require a Saturday night minimum stay: Buenos Aires, Santiago Grand Cayman and Nassau. e. The following routes from London Heathrow operated by Iberia via Madrid require a five night minimum stay: Havana. 10. Individual travel dates are subject to availability. Promotional travel is subject to availability and capacity control, and availability may be limited over bank holidays and peak periods. 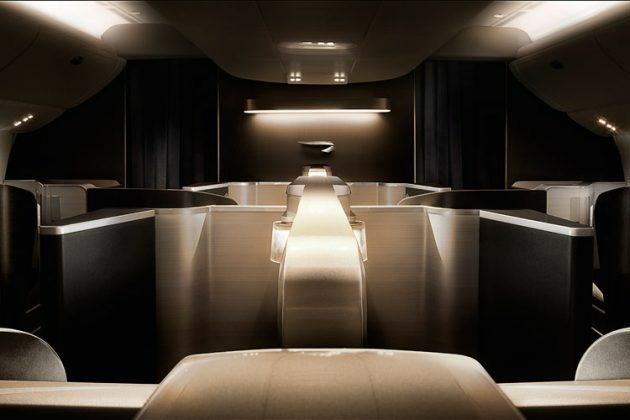 The number of seats available on each flight at a particular fare may be restricted and it is possible that seats allocated to a particular fare on a particular flight may be fully booked even though seats are still available for sale at a different fare or booking class in the same cabin. London Heathrow Buenos Aires, Santiago, Nassau and Grand Cayman. London Gatwick to Barbados, Antigua, St Kitts, Tobago, Grenada, St Lucia, Port of Spain, Providenciales, Punta Cana, Cancun, Kingston, Lima, San Jose (Costa Rica), Orlando, Tampa, Cape Town, Bermuda, Fort Lauderdale, Oakland, Mauritius and New York. 20. Payment must be made within 3 days after reservation are made or at least 3 days before departure whichever is earlier. 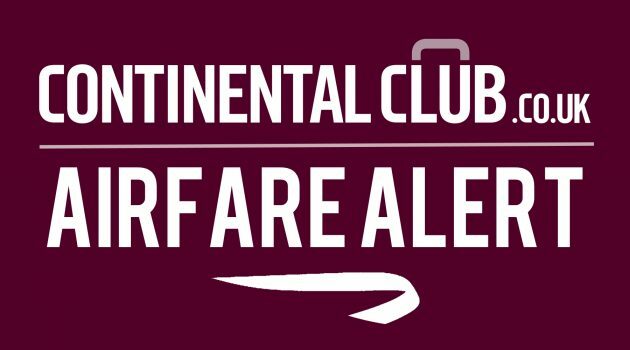 If booking direct with BA via telephone on 0844 493 0775 or online at ba.com, payment by cheque will not be accepted. Bookings made over the telephone may carry a £10 booking fee per person. Calls cost up to 5p per minute from a BT landline. Calls from mobiles may vary. A British Airways Club World Sale to North America appears to be being loaded today, 12th April 2018. Hope that helps.